In interventional cardiology, competitive markets work to drive down usage of less effective DES. Patients win. In orthopedics, less effective hip implants stay on the market until regulatory agencies force a recall. Patients often lose. Cordis has been facing declining Cypher stent sales for several years, with a market share falling to less than 15% in 2010 while the former Guidant stent (Xience/Promus) achieved more than 50% share. Cordis’s next generation investigational Nevo stent has suffered a series of technical and business delays; with a long clinical path ahead, Cordis recognized that the Nevo won’t be competitive by the time it’s approved. In interventional cardiology, well designed clinical studies and dozens of registries worldwide have captured the clinical experience of hundreds of thousands of patients. Massive amounts of clinical data enable physicians, patients and medical device companies to make evidence-based device selection decisions. While the Cypher stent was particularly well-studied, the efficacy and comorbidities of all DES are well known. In a virtuous cycle, new products must demonstrate a significant advantage over existing products, driving manufacturers to run large clinical studies of new products. Thus, in interventional cardiology, clinical evidence plays a major role in determining market share. Under these circumstances, Cordis made a difficult but rational evidence-based decision to exit the DES business. Unlike DES, market shares in hip implants have shifted relatively slowly over several years, with by Zimmer, Johnson and Johnson’s DePuy, and Stryker maintaining 20%+ shares, and Smith & Nephew and Biomet maintaining 10-15% shares. Many new hip implants are brought to market each year, via a clinical-trial-free 510(k) regulatory process. 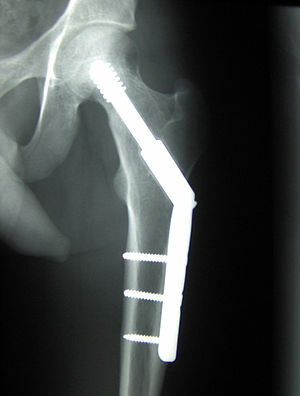 In orthopedics, the paucity of clinical data on implants has been an issue for years. Back in 2008, the NY Times reported that “for more than a decade, efforts to set up an open national [joint] registry in this country have failed.” A US registry was finally launched in December 2010. With no PMA studies and relatively few registries (UK, Australia, Canada, and Kaiser Permanente among them), effectiveness and risk are hard to compare among more than 145 different hip implant models. Market share has thus been driven by factors other than clinical data. In 2008, the five market leaders reached settlements with the US government regarding their payments to physicians who implanted their devices. Orthopedic device company practices have resulted in government investigations into marketing practices, patient-driven class-action lawsuits, FDA-mandated recalls and post-market surveillance, and a growing demand for comparative effectiveness studies. In contrast, Cordis’s remarkable withdrawal from the DES market is exactly the right move for their business and the patients they serve. It’s time for the orthopedic companies to learn from the interventional cardiology companies and start living up to their corporate mission statements.